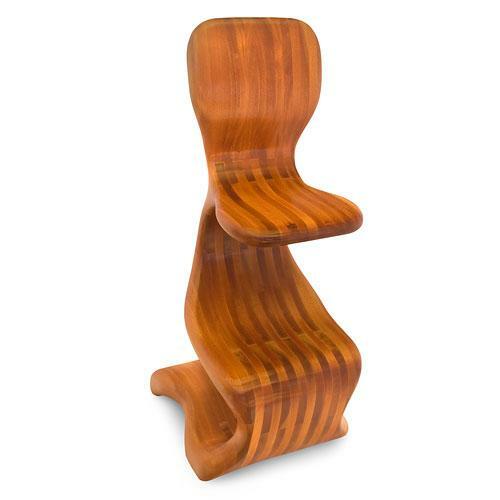 Part of the nook collection, it is as if the wood has dictated this design. The darker strips flow naturally over the sides, giving it fluid movement and strength. The rounded corners evoke a human shape and reduce the severity and harshness of sharp corners. 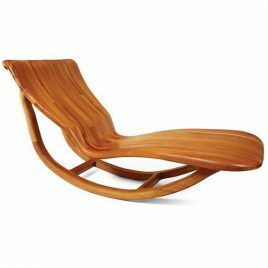 Hand-crafted from select red cedar and laminated for structural and visual effect - this chaise has a seductive yet ergonomic design. A sculpted perch that casts a whimsical, plant-like silhouette. Those who alight upon it will surely be tempted to linger a while for a nice long drink, for the sitting is indeed just as delicious as the gazing. 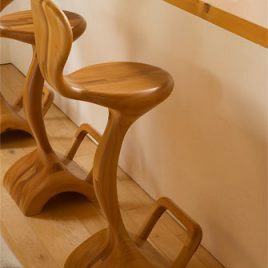 Rest weary feet on the convenient integrated footrest, or for even more relaxation try our Waterfall Bar Chairs.